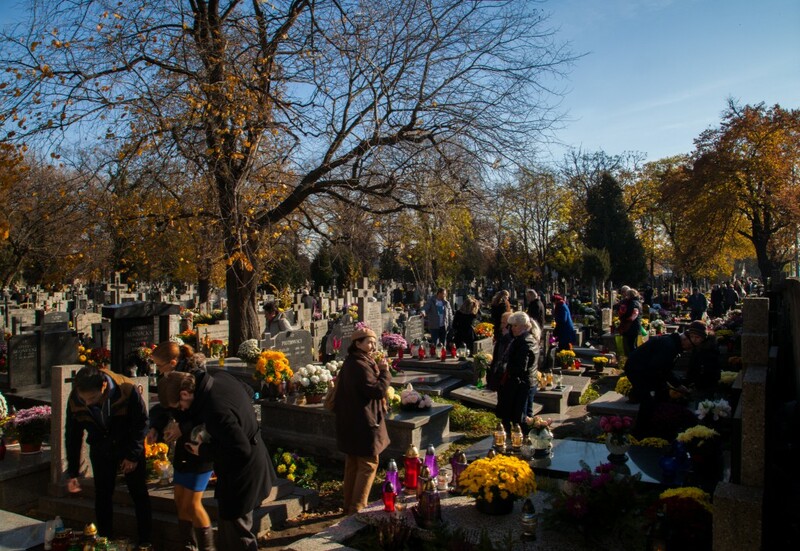 All saints’ day in Poland means millions of people visiting the cemeteries, adorning the graves with flowers and grave lights. 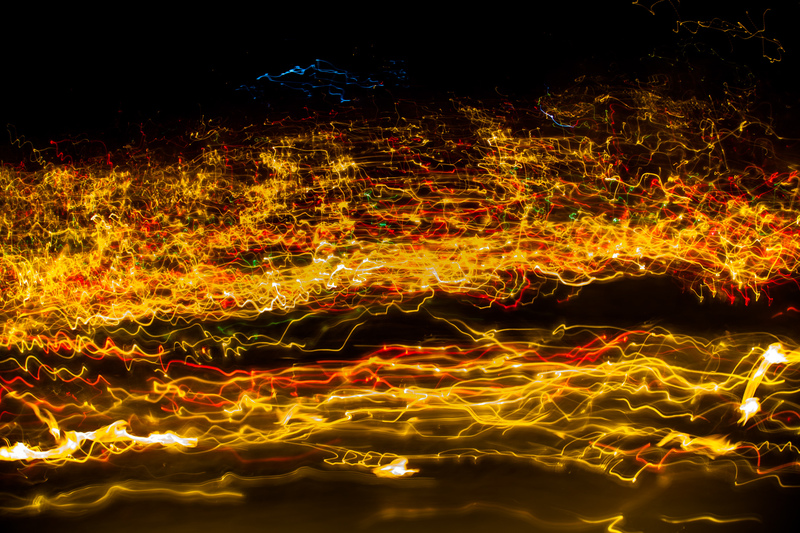 The picture above was taken leaving the shutter open as I was walking past the local cemetery. All lit up in the evening. 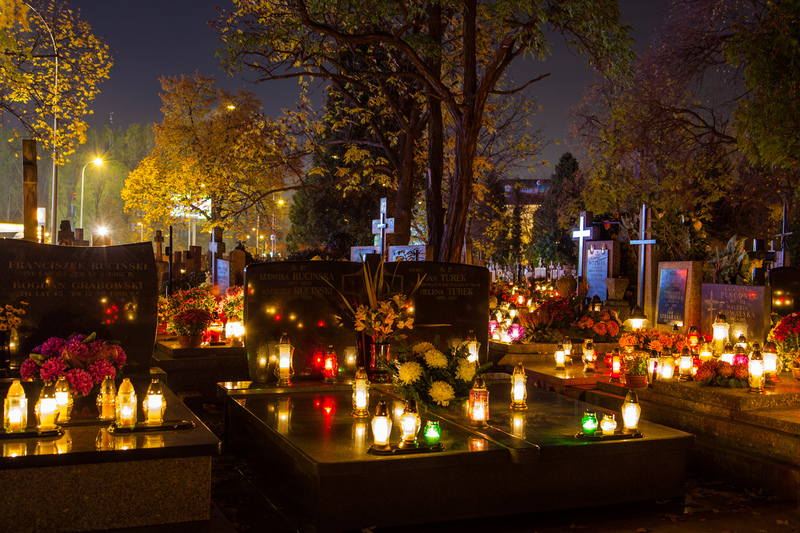 A picture of graves at night. Note the grave in the centre. It’s a symbolic resting place for Jan Turek who was murdered in Mauthausen in 1944. The grave yard also holds the graves of many members of the Polish resistance during the war. 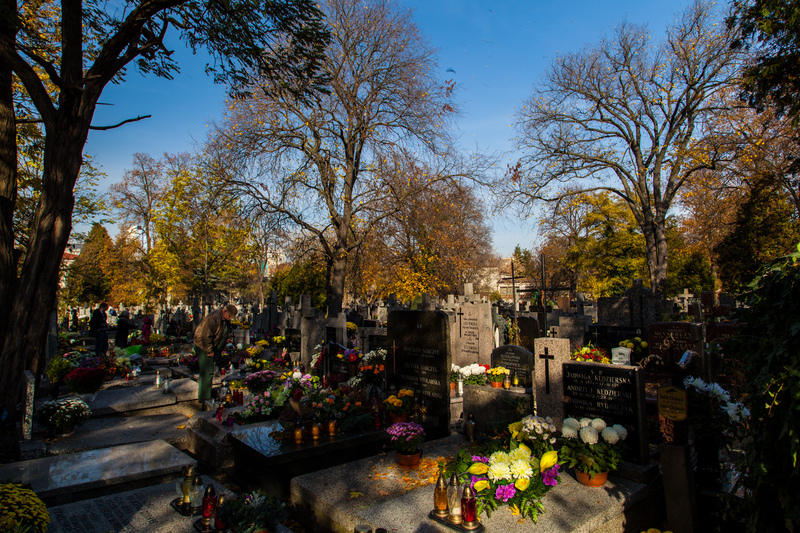 Those graves are frequently adorned with white-and-red bands. Earlier during the day. Lots of people getting things in order. More pictures from the same cemetery here, here, here, and here.